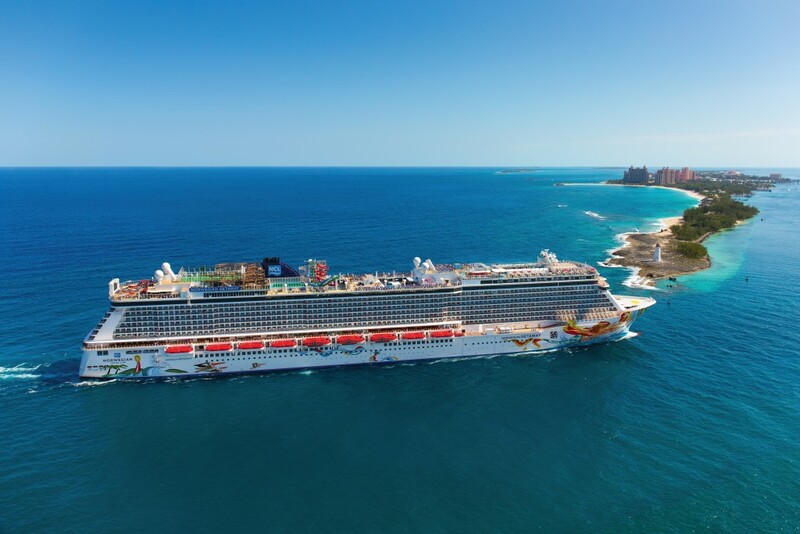 Ashley Colburn once more found paradise, this time in the Caribbean Sea with Norwegian Cruise Line. Colburn boarded the luxurious Norwegian Getaway in Miami for a seven-night journey to St. Maarten, St. Thomas, and the Bahamas. And getting to the ship was smooth sailing. The first two days of Colburn’s cruise were at sea, so Colburn spoke with Jason Malthias, NCL Program Manger, to find out what’s hot on board. A ship holding nearly 4,000 has something for everyone, including a variety of Broadway-style shows. Colburn caught Burn the Floor, which features professional ballroom dancers performing a variety of dance styles. “From cha cha and rumba to salsa, it’s a show you won’t want to miss,” emphasizes Colburn. Another show favorite is seven-time Tony nominated musical Legal Blonde. “From Broadway to Silver Screen onto the High Seas, it’s one of the biggest shows we have that’s very, very well-known and absolutely fantastic,” explains Joel Sanchez, Cruise Director. Nighttime on Getaway also offers Howl at the Moon, a show centered around dance hits, plus live jazz and R&B performances. 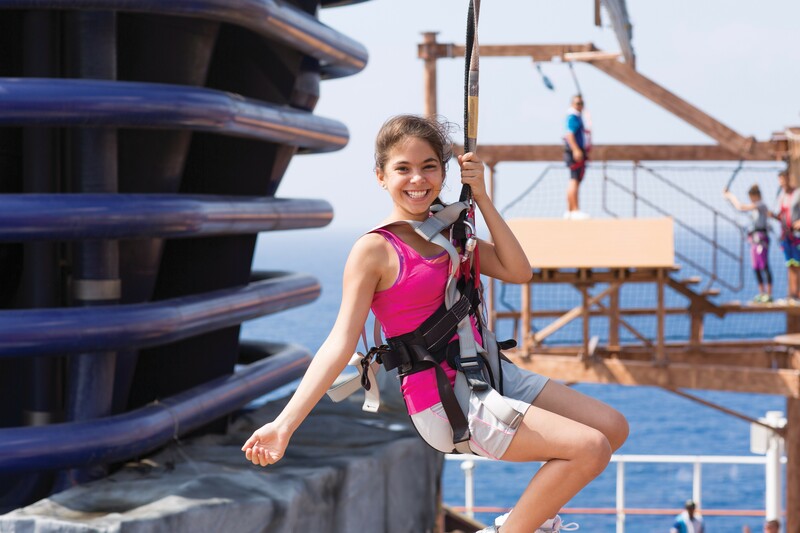 During the day, families can enjoy the Aqua Park, five thrilling waterslides 17 decks above the high seas, and a ropes course with three stories of action-packed activities, including a walk on the plank. On board, parents can also enjoy the fantastic Ice Bar or the tranquility of the Mandara Spa & Salon. “The world-class rejuvenating experience is a vacation-within-a-vacation,” says Colburn. There’s also a children’s program, geared toward giving kids—and parents—fun times aboard the ship. Shore excursions at many of the ports—include St. Maarten and St. Thomas—can be booked through your travel agent, at the shore excursion desk, and even digital touch screens throughout the trip. Colburn enjoyed snorkeling, parasailing, and even a trip to the Lost City of Atlantis on her cruise. With 27 dining options on board, “you have the luxury of dining at a different restaurant each night,” explains Colburn. Several of the restaurants are no additional cost, but specialty dining is available for those who want to savor every bite. But does one need to get all snazzy when on a cruise ship or at certain restaurants? And why wouldn’t they? 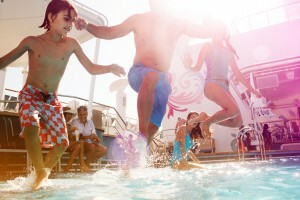 Norwegian Getaway is the ultimate paradise. Discover it for yourself now with Paradise Found! Find paradise throughout the Caribbean and Mexico now with Paradise Found on the GOGO Vacations YouTube page!